Some moments leave an indelible mark on a wine lover’s memory. 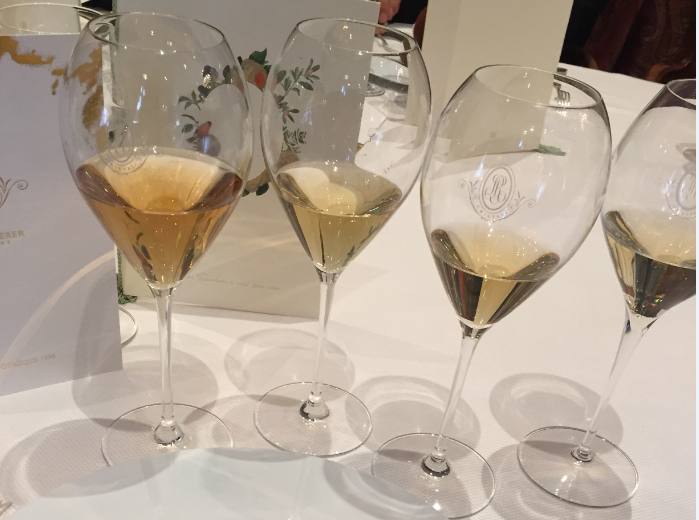 Tasting the cuvée Cristal 1996, in its Vinothèque version, in both the white and rosé, was one such moment. Let me tell you all about it! If you’re asking yourself what exactly this cuvée Cristal Vinothèque is, it means you don’t read the iDealwine blog quite often enough . This cuvée is the fruit of Jean-Baptiste Lécaillon’s (Roederer’s cellar master) limitless imagination, and the first of these was unveiled last year with the Cristal Vinothèque 1995. Today, we’re trying the 1996! Who doesn’t know the exceptional cuvée Cristal, produced from a vineyard of 45 parcels, from a chalky soil that is cultivated like a garden, and is today entirely converted to biodynamic farming? Jean-Baptiste is progressively spreading this, his own philosophy, to the rest of the house’s vineyards: both the cuvée Blanc de Blancs and Brut Nature have been converted. 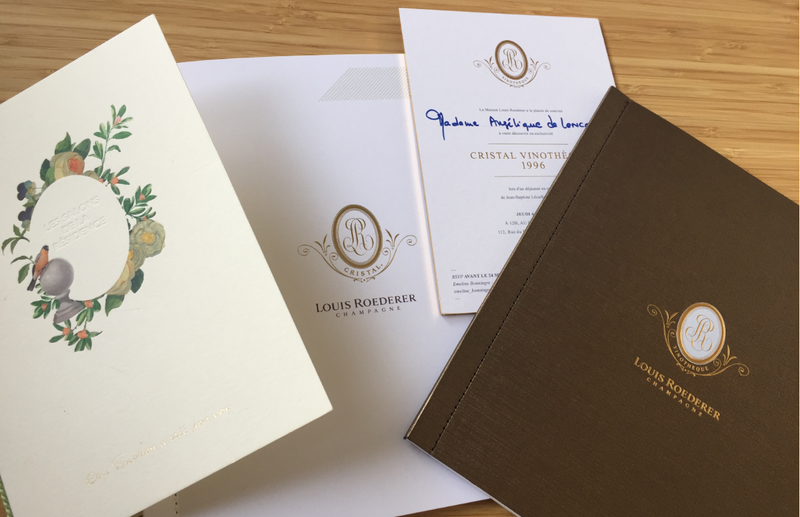 The viticulture at Roederer is family-based, traditional and respectful of the soils (which are tilled, on some parcels by horse, in order to preserve the most fragile rootstocks). The original idea, which preceded the Vinothèque experience, is essentially that the cuvée Cristal was always released to wine lovers and put on the market far, far too early. At 10 years old, it’s still a ‘new-born’, in Jean-Baptiste Lécaillon’s words, and needs much more time to age in the silence and comfort of the house’s cellars. The idea was thus to set aside some of the wines, to prolong their stay in the cellar to allow them to develop and nurture a Cristal which was even more mature, without of course betraying its identity, that is, a cuvée in which freshness, precision and elegance meld together. 1996? That was a difficult vintage. It should have, however, been exceptional. There’s no doubt it was harvested a little too early, it has high acidity, and needed a lot of time to find the right balance. The wine was therefore raised for ten years on its lees, before spending four years without the lees to avoid the risk of oxidization. The wines are then disgorged. The dosage is minimal, 6-7 grams. The wines then spend 7 years in the cellar before resurfacing… and here they are. hen tasting, it’s the concentration that stands out first. This champagne, which combines immense tension with astounding freshness, lifted by its aromas of lemon zest and minerality which owes a lot to the white soils from which it’s produced. He acidity is of course present, but it also has an excellent, well-rounded balance, even some vanilla notes. This vintage is today perfectly ready. This vibrant Cristal was the sublime pairing to the intense flavours of the Alba truffles in a magnificent dish of wild turbot with chestnut confit and wild mushrooms. This lunch was also the perfect opportunity to taste and rediscover two of the cuvée’s recent successes. This vintage was a dream, according to Jean-Baptiste, who would have liked to vinify this year again and again, it was so perfect. What’s more, while usually only the best Pinot and Chardonnay go into this cuvée, in 2002, no selection was made, and the entire harvest was used! 2002 was the year in which the house stopped using pesticides, and begun reviving the soils in their first steps towards biodynamic conversion. The hot, dry summer made for concentrated grapes, and the harvests came one week early. 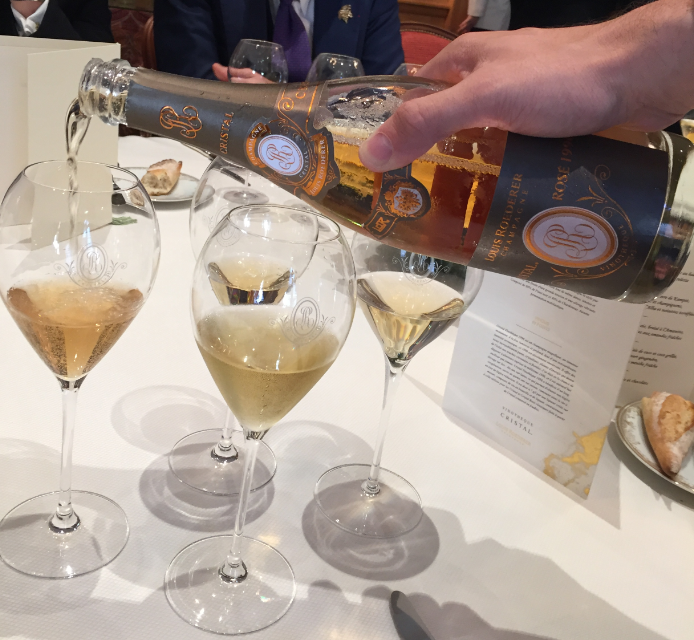 When tasting, Cristal 2002 has considerably changed in one year, gaining in depth and complexity, and in fullness too. It has, however, retained its aromatic freshness, its concentration and nice saline notes in the finish. It’s an honour to taste these cuvées, the product of such an exceptional level of exigence, precision, and risk-taking. Every one of them deserve only the best food pairings to elevate them. Eric Fréchon, an artist at work, majestically rose to the challenge. Bernard Neveu, head sommelier, has not been left behind, having built “the best wine list in the world” (the title granted by Wine Spectator), he assures that the food and wine pairings are simply… perfect. They each contribute to timeless, unforgettable moments. Frédéric Rouzaud and the Roederer house made this experience possible, giving Jean-Baptiste the time to bring his dream to life. Excellent work from an excellent artist! 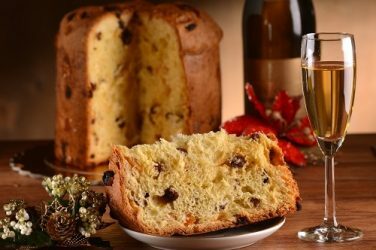 There is a wealth of culinary delights on offer at yuletide. 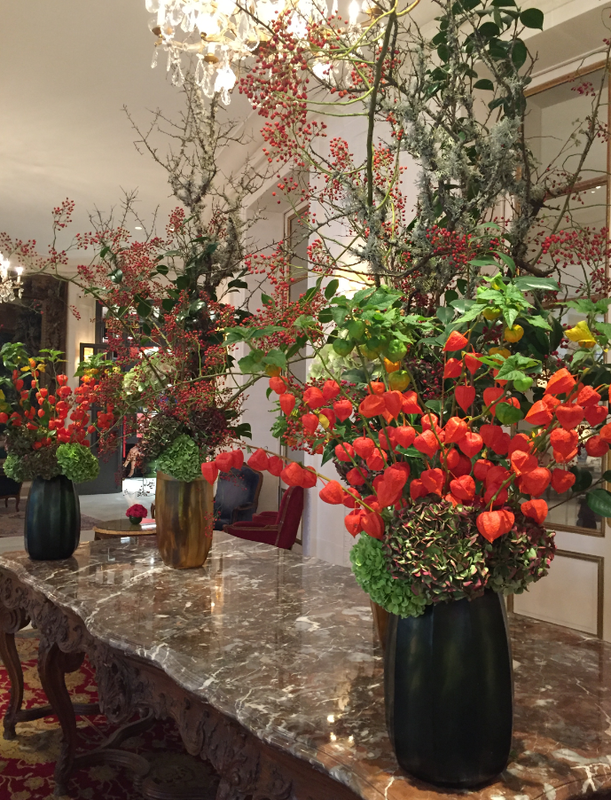 This week, we look into what will be on the menu in the UK, Italy and Germany this Christmas. 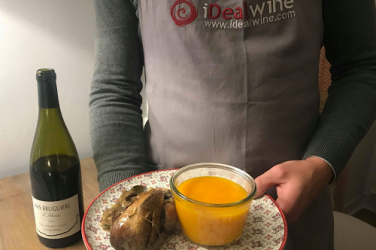 Warm up your autumn evenings with this delicious food and wine pairing from Constance. 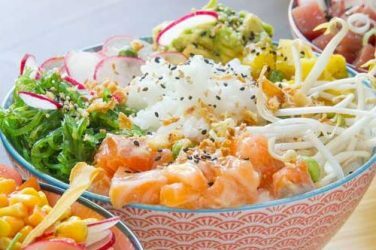 Move aside sushi, the latest trend to hit the food world is poke! 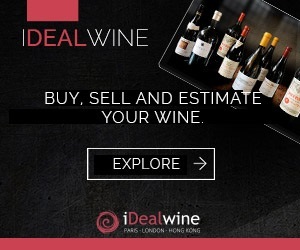 iDealwine is on hand to answer that all-important question of wine pairing.